Glass Breaker MD is a game by TµEE co.(TM). 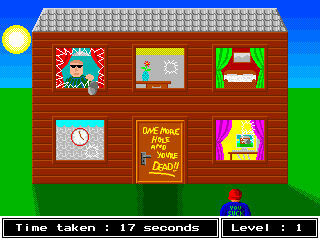 Objective of this game is to break all the windows of a house. It is not the easiest task because the inhabitants wont let you do so.